Dr.Natasja Fox (TCM) is a registered Chinese medical doctor and works with evidence based nutrition. She began her seven-year double major bachelor in health science in Acupuncture and Herbal medicine in 1999, and began studying at ACNEM in Evidence-Based Nutritional and Environmental Medicine in 2013. She has done units in primary nutrition, female hormonal health, thyroid, and adrenal conditions, gut conditions, allergy, dermatology and autoimmune. She has been treating health conditions since 2004 and has extensive experience and training in Shen Yang Hospital and treating hundreds of patients in north-east India. Using her TCM diagnostic skills and modern pathology she can get to the root of her client’s ailments. With a mixture of diet, lifestyle changes, nutraceuticals, and herbs she can relieve most ailments. 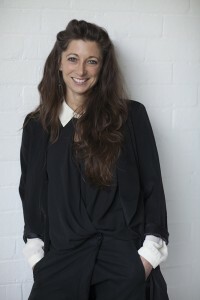 She is a senior yoga instructor with Yoga Australia, has been instructing since 2005 and practicing for over 20 years. She also studied under Pilates guru Raphael Bender in Clinical pilates, extending her knowledge of Chinese medicine and Yoga with anatomy and biomechanics. She has regularly been public speaking, teaching and running health and yoga retreats since 2007. She wrote the book ‘Reversing the Tired Spiral’ and was featured in the book ‘Evolved Woman’ which was a best seller in three categories. You can also find her interviewed on ‘My Wellness Wishlist’ Podcast stress/adrenal health and digestive related ailments. Dr.Fox is the co-founder of charitable organisation Traditional Healthcare where she has worked with thousands of patients in West Bengal and Jharkhand, India, since 2007. To watch some footage of the work being done in India watch this short film clip. BHSC – Double Major – Herbal Medicine and Acupuncture. Began in 1999. Principle practitioner Jing Integrated healthcare Clinic – 2014 –current.